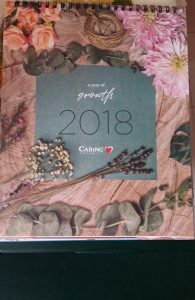 The Caring Pharmacy is giving away free 2018 desk calendar when you make purchases of minimum RM80 in a single receipt while stocks last. Update as of 26 Dec 17- The calendar seems to be running out of stock at most stores. We always got my mom’s Ensure drink and supplements from Caring, therefore it is not difficult to meet the RM80 spending. 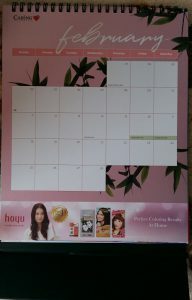 In fact, the day we got the calendar we spend over RM300 for 2 tins of Ensure and 2 bottles of glucosamine supplements. I requested a free copy because I like the cover design of their calendar (refer above). For the usual desktop calendars, one side is usually some scenery and another is the monthly calendar spread. 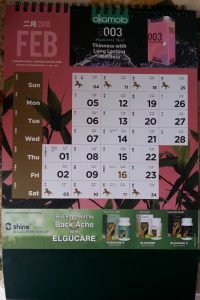 However, Caring is a bit different- aside from the normal default monthly calendar, the other side consists of the race horse calendar design. I think it is very creative, useful and practical. 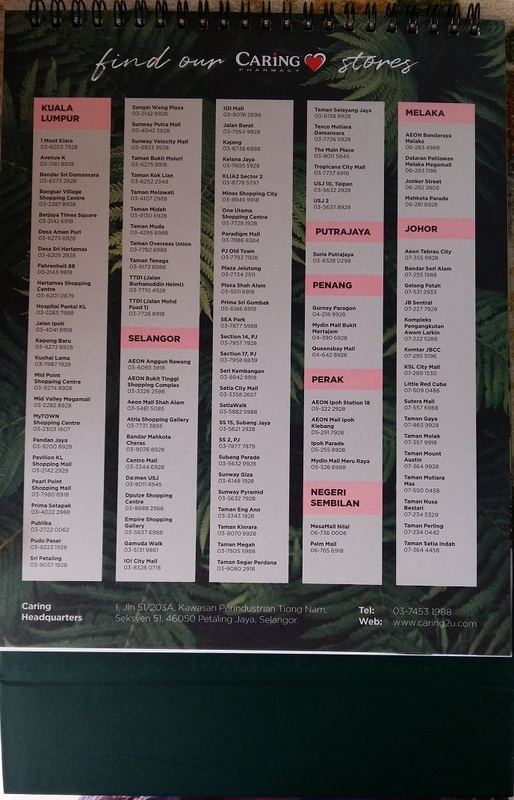 Racehorse calendar is the type of calendar that Malaysians of every race would appreciate because it contains the public holidays, school holidays, and dates according to the Islamic, Chinese and Indian calendars. It is a useful reference for all races. However if you buy the typical racehorse calendar type, it may look good in a old fashioned kopitiam but not in an office where there are corporate clients. As seen above, the Racehorse calendar version looks a little subdued and I would say, the design blend in and looks okay to be placed in offices. Whereas the normal month spread gives you enough space to write important appointments, reminders and deadlines. Some of the cheaper calendar (which you need to pay for) only have a small waxed surface which makes it hard to mark on important events and dates. One little thing I find not nice about this calendar is the advertisement- each month there is either a different supplement company or product being featured. But well, for a free, good quality calendar made with good materials, coupled with a professional looking horse racing calendar, we really can’t complaint. 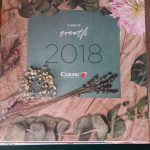 The companies whose products are featured would most likely be the sponsors who help to allay the cost that goes into printing this high quality calendar. At the same time it can allow the company to advertise there as well. Seriously, a win win situation. Just a cheeky suggestion…. if you do not like the advertisements, and love being creative, you can borrow some decorating principles for scrapbooking or planners. Example in video below, it shows how a planner is being elaborately decorated (I do love watching planner videos). What you can do is get some washi tapes and stickers (sold at MrDIY and Kaison) and then cover up the advertisement. You can then replace with your own affirmations or quotes. This can be quite fun! 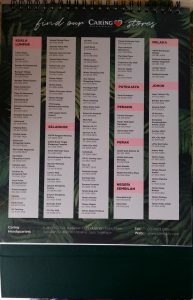 At the back, it also provide the outlet listing of the Caring Pharmacy (you can click on the image above to enlarge). Hmmm….I really thought there should be more outlets than this because I recall seeing Caring Pharmacies literally everywhere I go. Hopefully Caring Pharmacy would produce similar useful desk calendars for future years.